Pesto is traditionally prepared in a marble mortar with a wooden pestle. 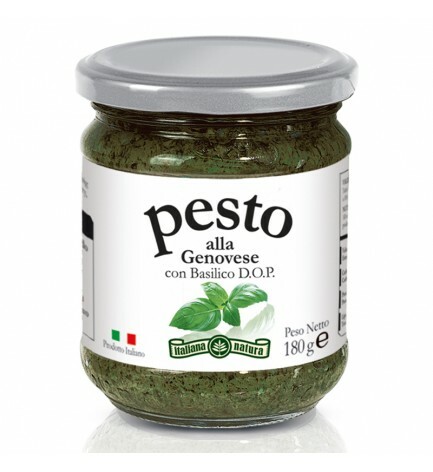 First, garlic and pine nuts are placed in the mortar and reduced to a cream,then the washed and dried basil leaves are added with coarse salt and ground to a creamy consistency. Only then is a mix of Parmigiano-Reggiano and Pecorino added. To help incorporate the cheese a little extra-virgin olive oil is added. In a tight jar (or simply in an air-tight plastic container), covered by a layer of extra-virgin olive oil, pesto can last in the refrigerator up to a week, and can be frozen for later use.